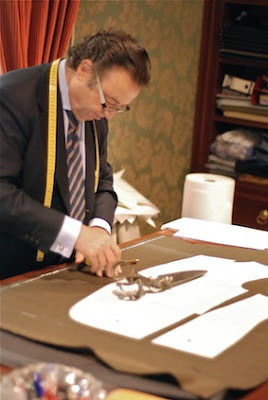 Calvo de Mora has a reputation for being a little younger in style that other bespoke tailors in Madrid, such as Reillo and Larrainzar. 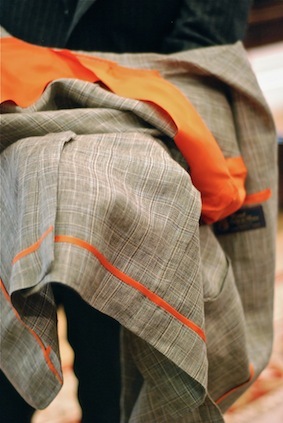 It lacks Larrainzar’s royal and political client list as well, but is the tailor for the famously well-dressed Jaime de Marichalar and Prince Kyril of Bulgaria. Some of those younger touches were on display when I visited, including work in jersey cloth, some unusual horn buttons and half-lined jackets with orange binding. 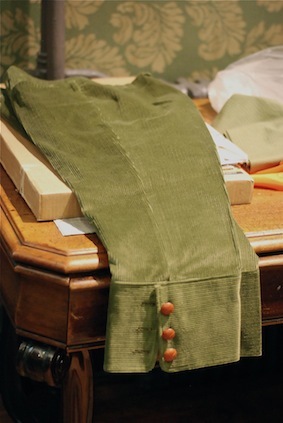 There is also a lot of traditional work, however, such as a shooting outfit including the trousers pictured and a beautiful morning coat. Calvo de Mora is a little bigger than Reillo, with two cutters – Manuel Calvo de Mora and his son Alberto. 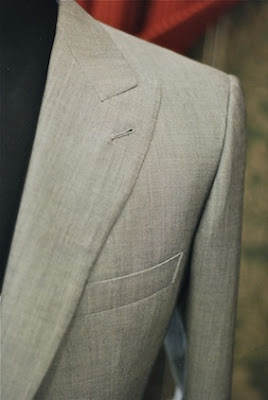 The other son, César, also works at the firm. The premises are expansive, with a large cutting room, two large fitting rooms, one for storing the patterns (unusually, not made of paper) and a large back room shared by seven tailors. 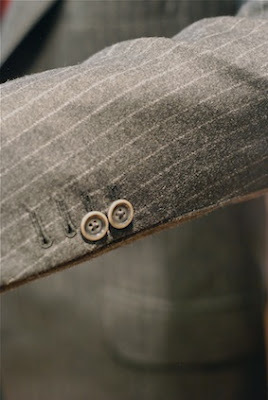 Calvo de Mora also has a shop, selling rather lower end shirts and accessories. So make sure you get the address right – Calle de Ayala not, as listed on the website, Calle de Claudio Coello. 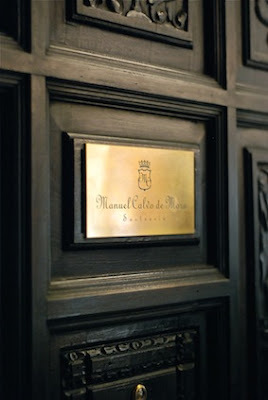 You can follow the discussion on Calvo de Mora: bespoke tailor, Madrid by entering your email address in the box below. You will then receive an email every time a new comment is added. These will also contain a link to a page where you can stop the alerts, and remove all of your related data from the site.